Jackie's Nepal Blog and Other Wanderings: "What if?" It’s February 6, 2012?! How did that happen? 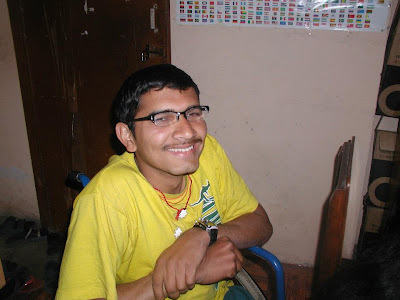 I can’t believe it has been over 2 months since I last wrote in my blog. It’s not like there hasn’t been anything to write about – the holidays were celebrated, the last of the troops came home from Iraq, the year of the Dragon commenced, but the days marched on whether there was something going on or not. All I could think of was what I had not done. 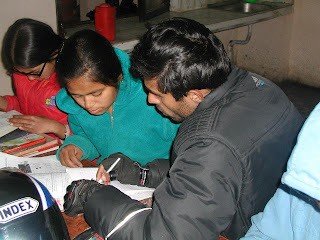 The uncompleted work at my day job, chores around the house, phone calls that were not made, and all the things I ‘should’ be doing to help the kids in Nepal. Well, fortunately, “what if” did not happen, and here I am ready to tackle those things left undone. I’m 3 days post-op, slowly chipping away at the chores and getting around to writing again, specifically about the happenings at DHC NewLife Center (and hopefully about DRC again soon!!!). So to jump right in, much has been happening at DHC NewLife Center as a result of the generous contributions by friends and Amrit’s hard work. 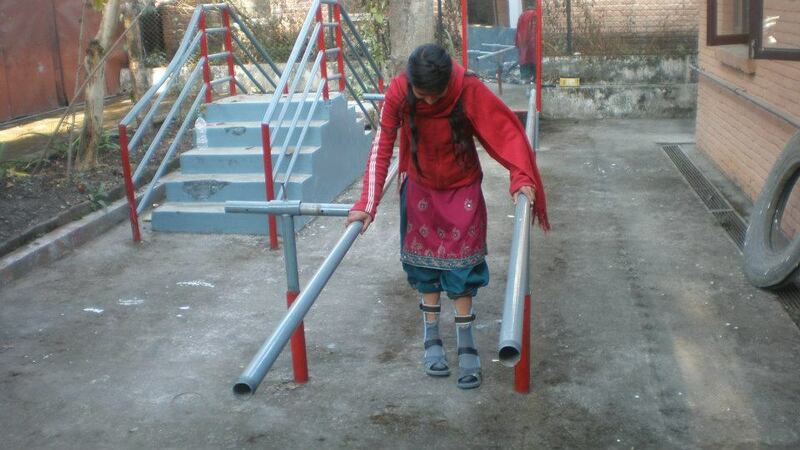 Amrit reported that the kitchen enclosure project, funded by Harumi Guiberson and Alycia Lee was completed. 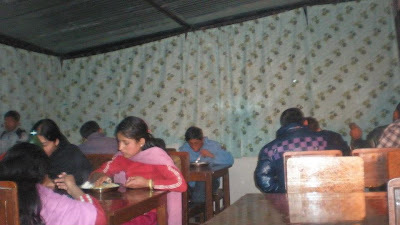 This helps the kids have a warmer area to sit and eat during the chilly winters in Kathmandu. The photos still makes it look like it's still cold, but they also have the help of a heater, provided there is electricity. Yes, load shedding is still on-going in the city where there are power outages lasting up to 16 hours! (See my previous posting about this topic). Kitchen with new enclosure and curtains - Thanks Alycia and Harumi! Thanks to Gordon of Sedona and Beth of Seattle, medical needs were addressed as well, with three of the kids sporting needed eyeglasses and one child fitted with a new AFO (ankle foot orthosis) brace to help treat club foot. B.BC with his new glasses! 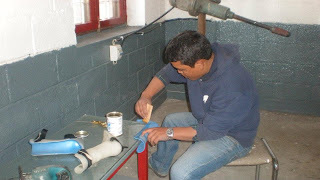 Thanks to Chris of Australia and Molly of Seattle, a library, complete with books and shelves, tables and chairs, was completed. 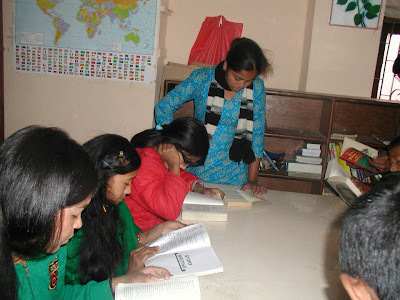 It’s a great place for the kids to comfortably come together to read and study. 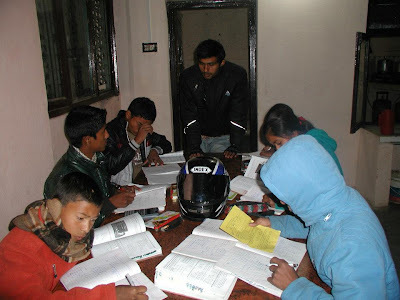 And speaking of studying, more recently, a tutor has been brought in to help the kids with their schoolwork and to help them prepare for upcoming final examinations. This was my Christmas gift to my close pal Sue Newman who has always been a great supporter of my Nepal causes! Thanks, Sue! So despite feeling like there was a lot undone when I was asking myself “what if?”, there was a lot that was done (although not by me, but via the hard work of Amrit and his staff!) and there will always be a lot more to do (ok, that would be me - like finding $). I guess that’s what is so great about being alive – there’s never a dull moment. Wanna join me in helping to get things done, especially for the kids in Nepal? If so, come join me, if not, that’s okay, because I’m sure there’s a cause near and dear to your heart that you support and I’d sure love to hear about it! Well, until the next blog post, hopefully sooner rather than later, be well! Thanks for visiting and thanks to everyone for helping Amrit of DHC NewLife get things done!